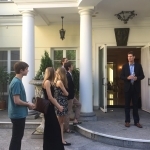 05/10/2015 - Lithuanian Proficiency A2 level exam for the youth in the U.S.
Off to school party for the ASSIST 2015/2016 scholars hosted by John, Marcie, Alex, Augie and Peter Kazickas in the Kazickas Family Residence in Vilnius. 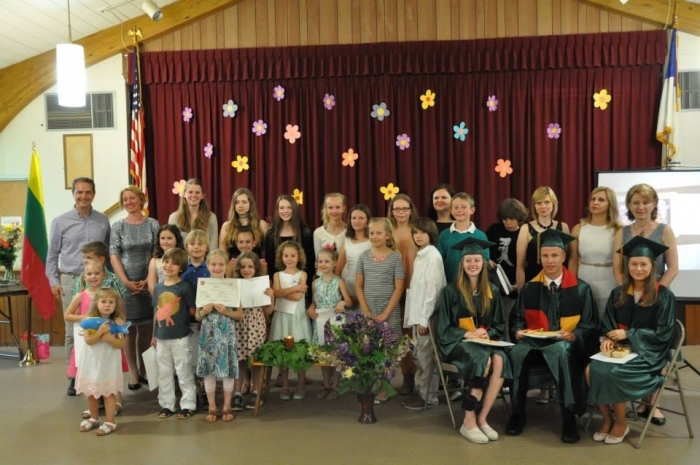 Alexandra Kazickas Lithuanian School (Long Island, NY), KFF grantee since 2006, finishes its 9th school with 3 graduates and 31 sudents. 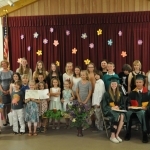 Guest of Honor, Consul General of Lithuania to NY, Julius Pranevicius presented the graduating class with honorary diplomas. 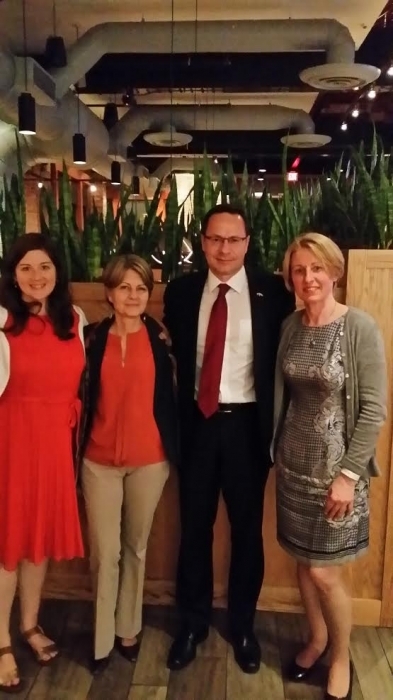 While continuing the KFF initiative to support Lithuanian language proficiency testing and certification in the Lithuanian Heritage schools of the US, the KFF NYC Director meets with the specialist in Boston, MA. 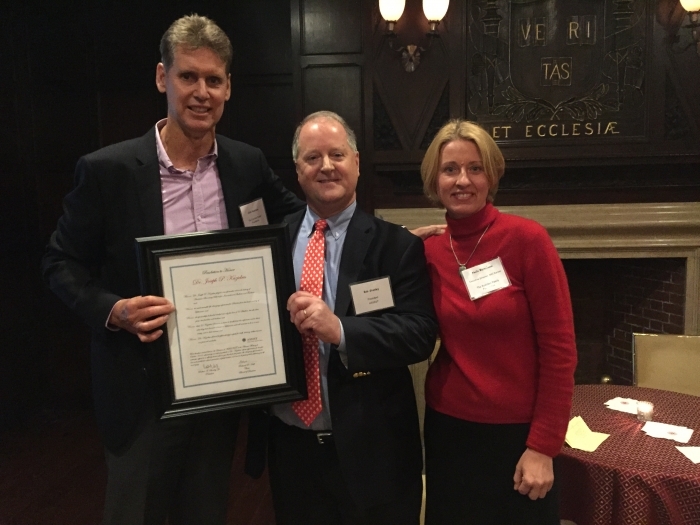 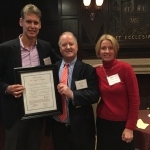 The Kazickas Family Foundation welcomed John Holm, senior director - business development of Charities Aid Foundation of America – Full Service Global Grantmaking, to discuss the Foundation's latest program "The Basketball Power". 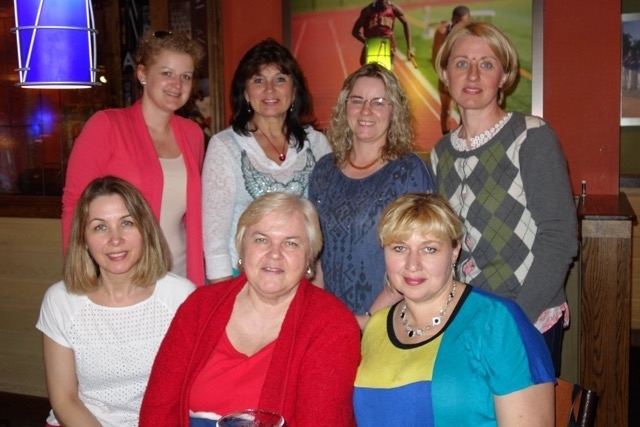 Thank you CAF America for your attention to Lithuania! 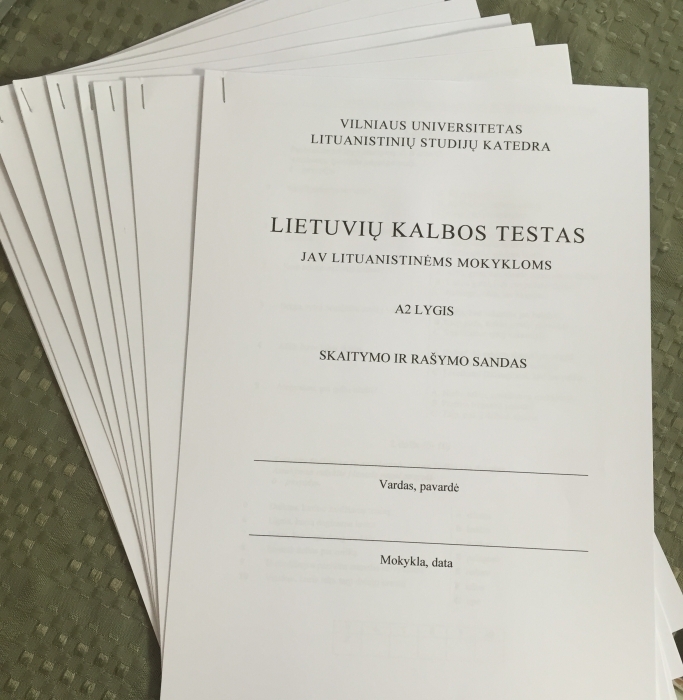 Lithuanian Proficiency A2 level exam for the youth in the U.S.
First ever, Lithuanian language proficiency level A2 exam for the youth in the U.S. conducted by Vilnius University on May 9th and 10th (a pilot project with the EU) is a great outcome of the KFF three year long initiative to support Lithuanian language teaching, learning and evaluation outside Lithuania. 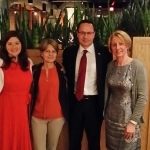 Washington D.C., dinner with Lithuanian Ambassador to the U.S and Mexico Zygimantas Pavilionis, Miriam Parel and Brooke Swafford, both of ExCEL, and Neila Baumiliene of the KFF NYC. 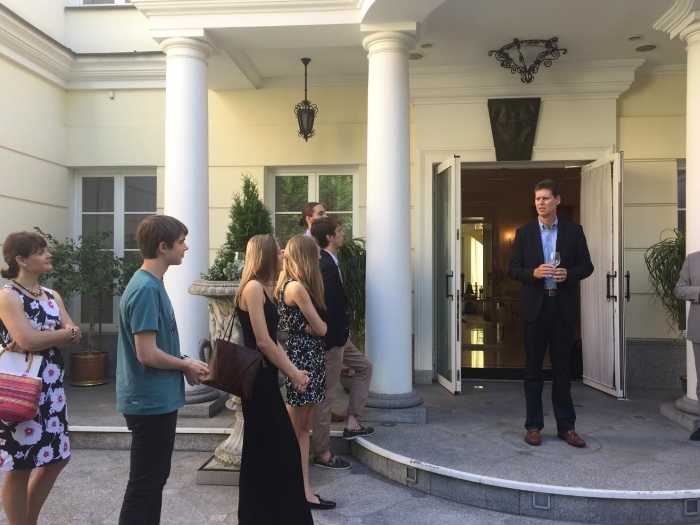 Lithuanian youth was in the center of the conversations: finding ways to encourage volunteering, leadership, patriotism and civic duties. 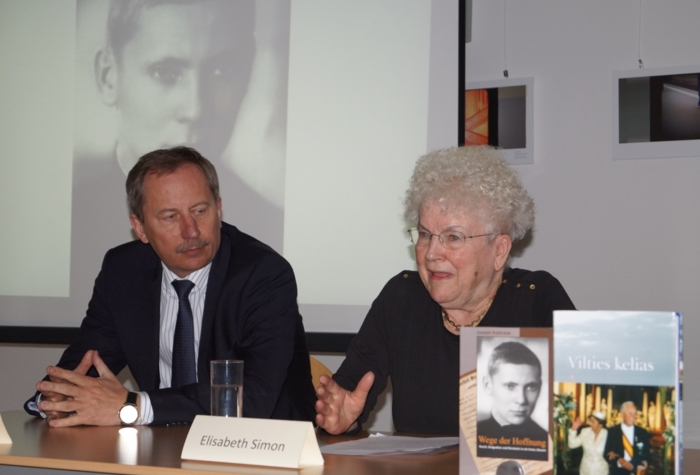 Lithuanian Embassy in Berlin, Germany, had an evening of "Wege Der Hoffnung"(German edition of the Odyssey of Hope) presentation. Lithuanian Ambassador Deividas Matulionis said: "The book portrays Joseph Kazickas's life which is a true reflection of Lithuania's life, its fight for freedom and independence". 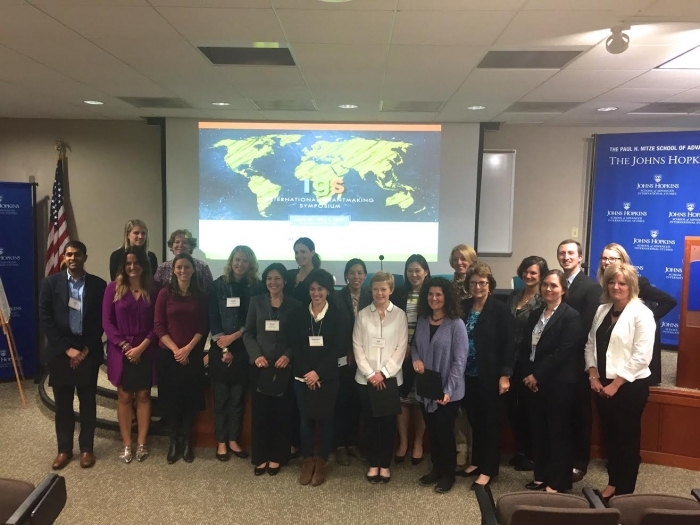 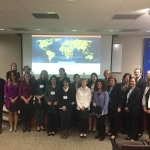 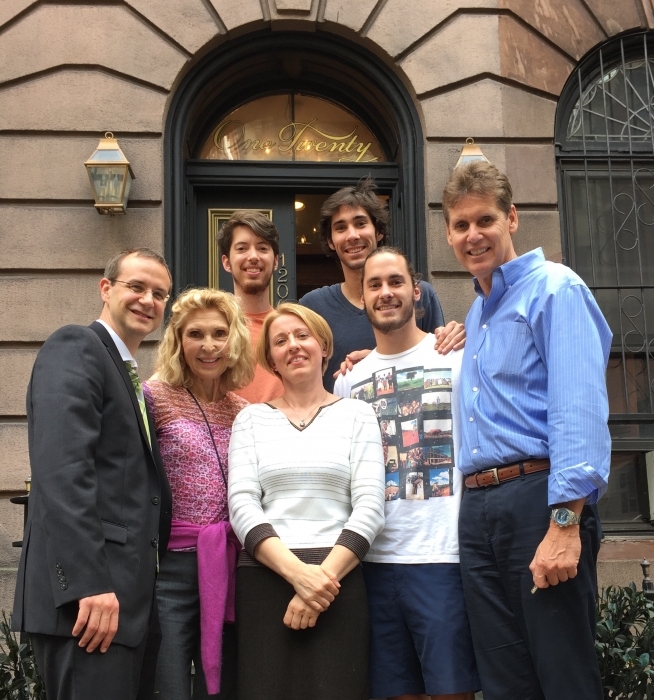 The Kazickas Family Foundation hosted U.S. 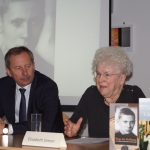 Ambassador Anne E. Derse (Ret.) 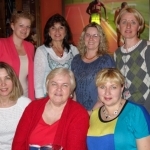 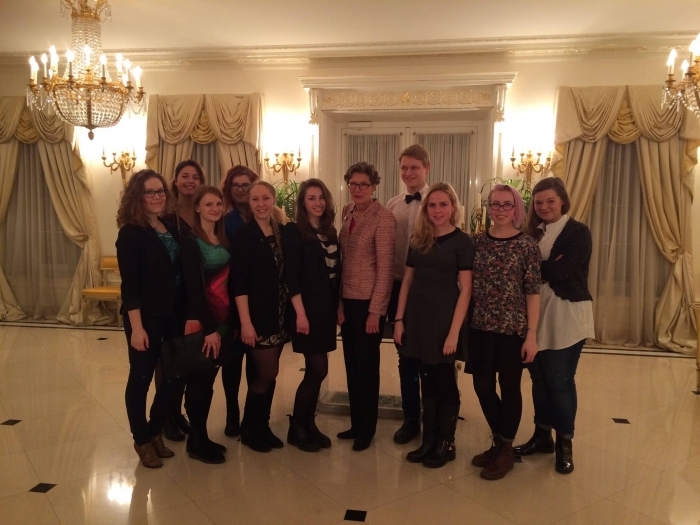 and Miriam Parel at the Kazickas residence during their recent visit to Lithuania February 22 to March 1. 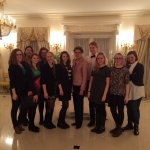 Ambassador Derse and Mrs. Parel returned from a follow-up trip on April 18.